Fresh Dab is simple to use. 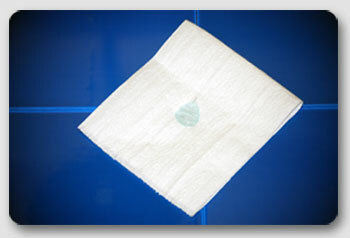 Use dry toilet paper first to clean the area and remove any residue. Then apply a small amount of Fresh Dab (about the size of a dime or 1-2 cm) on some toilet paper and then apply the Fresh Dab to the area to be cleaned. Then wipe dry with regular toilet paper. Fold 2 or more squares of toilet paper together when applying Fresh Dab to toilet paper. Different brands of toilet paper have different thicknesses so depending on which brand you use, you may need more or less when applying Fresh Dab to toilet paper. Please note: Fresh Dab is a personal hygiene gel and is not intended to treat or cure any medical conditions. If you have any medical conditions which may be affected by Fresh Dab, speak with your doctor before using Fresh Dab. If Fresh Dab should cause any discomfort, stop use immediately. Fresh Dab is for external use only. If ingested, seek medical attention. Fresh Dab should be kept out of reach of children.